The XM150 is a very bright 6000 ANSI Lumens for those needs where you want the image to "pop" off of the screen! It can be used in small and large venues on 8x8 screens and 10x14 foot screens! This projector is perfect for those who need the brightest projector with the most inputs to ensure clients and guests both can easily see the presentation! 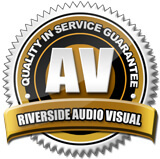 Wide variety of inputs to connect your laptop, DVD player, or other video source. Perfect for conventions, business meetings, all hands meetings, weddings, concerts, conferences tradeshows, and more! 6000 ANSI lumens is very bright and easiest to perceive! 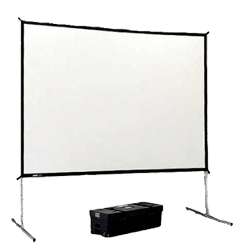 10 x 14 foot projection screen is one of the larger screens that we carry. 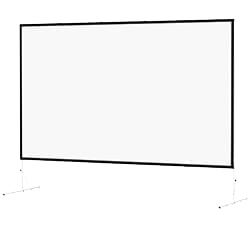 Available both in front or rear projection like its smaller counterpart, but made for larger rooms. Larger format video screen available with front or rear projection means that you can place the video source in front or behind the screen! A must with larger crowds!